Medical device design is a complex process, and grows even more complicated if design intent isn’t well communicated. Design intent encompasses how a product will be used, and in medical device manufacturing, this influences how a product will be made. Clear communication of design intent is fundamental to create a development process with fewer product revisions, so a device gets to market faster. Here are three best practices for improving communication of design intent. #1: Keep it simple – move away from “more is better” dimensioning. Cluttered drawings are a key reason for miscommunication of design intent. When every data point or tolerance scheme is labeled, it’s difficult for the manufacturer to understand what’s critical to the design. This creates opportunity for error, and it also lengthens the validation process. 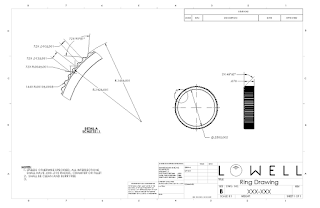 To improve communication, limit tolerancing and dimensioning marks to only the features that will affect performance. This simplifies measurement and validation, which makes the entire development process more efficient because there is a clear delineation between features that are nice to have and those that impact the success of the design. It’s easy to be caught up in revisions and testing on features that do not impact functionality, and this can significantly delay introduction. #2: Use precision GD&T to improve communications. Precision Geometric Dimensioningand Tolerancing (GD&T) takes standard GD&T practice to the next level. While both use the same standards-based language, precision GD&T includes conformance criteria in addition to dimensions. Conformance criteria is a key difference that helps focus designs because it includes only the features that convey the design intent of the engineer. For example, precision GD&T and 3D modeling were used to simplify the ring design below. Instead of specifying the hundreds of angles, radii and arcs of a ring, three critical measurements are shown in the final drawing. The second is much easier to read and understand. #3: Validate designs with 3D models. Using 3D models is a best practice to validate designs and help determine early in the design process which factors are critical. This means that any confusion can be cleared up at the start of development, rather than affecting every iteration. 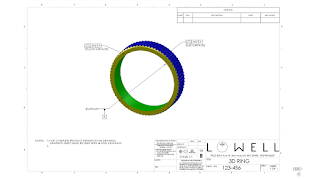 Pairing 3D models with precision GD&T is a powerful tool to ensure a part meets measurement requirements while conveying the design intent of the engineer. Once a 3D model is made, it should be compared to the original drawing. 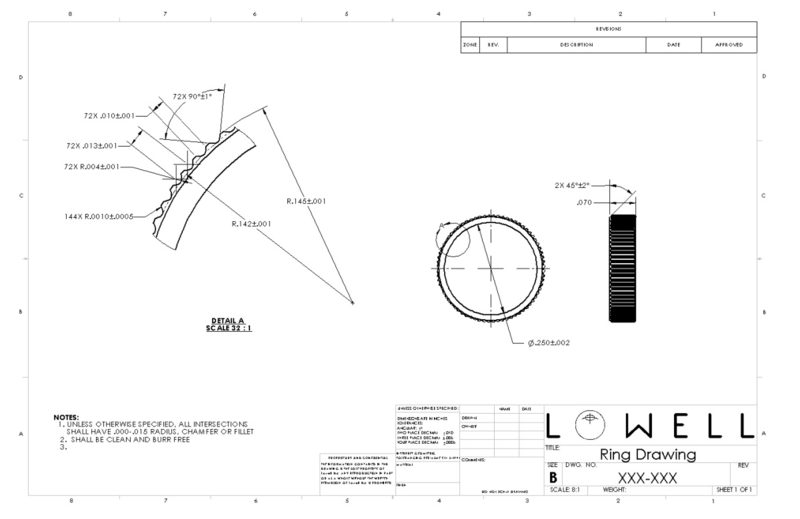 If any edits are required, those can be changed and updated in the final drawing to be used by the manufacturer. With better communication of design intent, medical device companies can accelerate the development process with their manufacturers. To learn more about improving communication of design intent and its benefits, download our white paper here.